Did any of you every fly Skybus? Have you even heard of them? If you haven't it's probably because they couldn't even manage to stay in business for a full year. 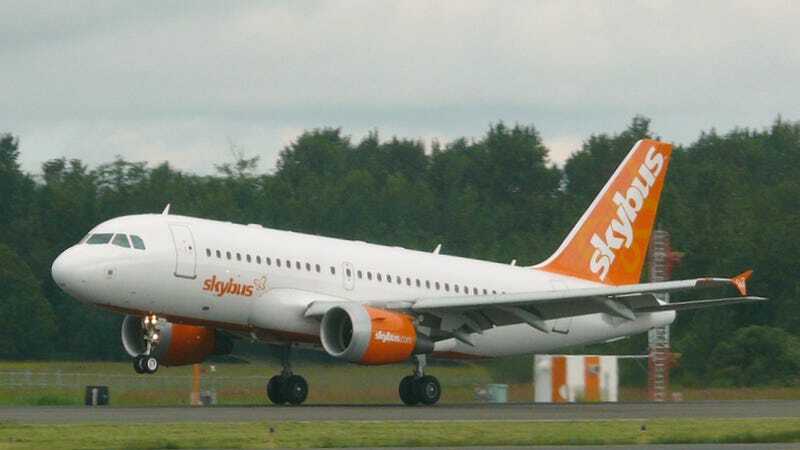 Skybus was an ultra low-cost carrier, based in Columbus, Ohio. That might have been their first mistake — basing an airline in a city of only 750,000 (in 2007) while flying relatively large planes for the market size. Skybus only flew from May, 2007 until April, 2008. On the day they ceased operation, their fleet consisted of 13 Airbus A319s, though they had 65 planes on order. The order even included a BMW-esque all maintenance included deal, which was the first of its kind in the industry. Their business model was based on flying from medium-sized cities, like Columbus, to even smaller cities like Chattanooga, Tennessee and Gulfport, Mississippi. It's pretty common for new airlines to lose money their first few years, but Skybus came into the industry at the wrong time. During their brief period of operation, oil prices rose 50 percent. To keep its planes full, Skybus had to offer fares that were so cheap, the revenue didn't even cover their operating expenses. They even sold the first ten seats on every flight for only $10 each. When a new discount carrier comes to town, they usually offer super low fares to entice business. But typically, the legacy carrier in-residence will respond by matching the fare, knowing that they're more stable in a low-revenue environment than the new airline. Plus, the legacy carrier has hundreds of other routes in its network from which to gain other revenue, while the new guys may have less than a dozen routes in their network. Once the new guys fail, the legacy airline goes back to charging the higher prices that were previously in place. Some might call that practice predatory, but that's the airline business. The difference between pass and fail is whether the new airline can weather the storm long enough to establish a good reputation for itself, and a loyal customer base. Skybus' own investors slit the airlines' throat before giving it a chance to really breathe. After months of losses (which isn't long in the airline business) Skybus' investors bailed out. March and April of 2008 were an extremely turbulent time for the airline industry. In addition to the loss of Skybus, Aloha and ATA also ceased operation, Frontier filed for Bankruptcy protection, and Delta/Northwest announced their merger.